Probiotic species L. Reuterii under a microscope. Contrary to popular belief, bacteria aren’t all bad. In fact, there are all sorts of bacteria which live on us, and in us, and actually do us a world of good. The majority live in our digestive tracts, where they help us digest food, excrete toxins, and keep our immune systems up and running. These so-called “friendly flora” are known as probiotic bacteria. Probiotic bacteria can help control specific health conditions, but also general long-term health. In terms of specific health conditions, probiotic can reduce lactose intolerance, irritable bowel syndrome, inflammatory bowel disease, diarrhea thrush, and colic. Longer term, probiotics help bolster our defenses against infection (everything from colds and flus, to food poisoning, to vaginal yeast infections, etc. ), may lower cholesterol, and appear to significantly lower cancer rates. So how do we get these good bacteria on our guts? Well, we’re born with them. But that doesn’t mean we have them or at least enough of them for the rest of our lives. It’s helpful to think of the gut as an ecosystem, an environment for probiotic bacteria as well as other microorganisms. You change the environment, you change what thrives in it. Probiotics thrive on what, for lack of a better term, can be called a healthy, balanced diet. They like whole grains, greens, and other sources of fiber, and aren’t especially bothered by other types of healthy foods. Concentrated sweets and white starches, on the other hand, can be a problem, not because they hurt the probiotic bacteria directly, but because they feed competing yeasts and other pathogenic microbes. When these pathogenic microbes thrive, they elbow aside the probiotic bacteria. And once the competing microbes establish themselves, they’re hard to get rid of. That’s not to say that a nice piece of cake every now and again will mess things up too badly; on the other hand, Froot Loops for breakfast seven days a week will. Perhaps the most dramatic way we change the gut environment is by taking antibiotics. In a sense (certainly in a semantic sense!) antibiotics are the antithesis of probiotics. Antibiotics kill bacteria. That’s what makes them such useful drugs. But bear in mind that antibiotics kill bacteria indiscriminately. In other words, they kill the good along with bad. The most obvious side effects of killing off the friendly flora are diarrhea, or other forms of digestive upset. But more insidious are longer-term side effects we’ve only recently begun to trace back to the drugs. Consider the role of probiotic bacteria in stimulating the immune system: we know now, for example, that children whose parents give them antibiotics for ear infections are more likely to get a second or third ear infection versus matched children who do not take the drugs. Even more troubling, however, are indications that probiotics help prevent cancer and that killing them off can have ramifications which follow us for decades. A study published in the February 18, 2004 edition of The Journal of the American Medical Association explored this issue, specifically in terms of breast cancer risk. The study looked at over 2,000 women with breast cancer, and nearly 8,000 who did not, all enrolled in the same health plan in Washington state. This particular health plan kept meticulous records: it was possible to see every prescription these women had filled over the previous seventeen years. The outcome: the more antibiotics the women had used during that period, the greater their risk of developing breast cancer. Of course this doesn’t prove that antibiotics cause breast cancer. Perhaps the people taking antibiotics were sicker to begin with? But the researchers corrected for that. And it didn’t matter what the women had taken antibiotics for. Perhaps the women taking antibiotics were different in some other way? Well, you can never answer this 100%, but the two groups were matched according to current age, age when they got their first period, age when they gave birth, age at menopause, weight, family history of cancer, education, how long they’d been in the health plan, ethnicity, and various other risk factors for breast cancer. None of it made a difference in the results. And it didn’t make a difference what type of antibiotics the women had taken, either. Taking antibiotics even once in the previous seventeen years was linked to an increased risk of both breast cancer in general, and breast cancer that was fatal. Taking antibiotics more frequently increased these risks. Interestingly, the paper’s authors only had two guesses as to how or why antibiotics might cause breast cancer. 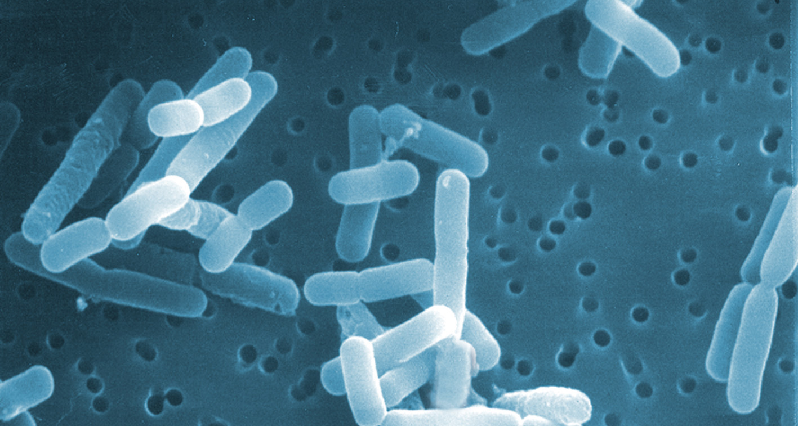 Both were linked to killing off probiotic bacteria in the gut. If you choose to take probiotics in supplement form, there are a couple of issues to bear in mind. First, the number of live bacteria is the most important measure of a product’s strength. Potency measured by weight is completely irrelevant. And since you’re dealing with live bacteria (which, like all living things, have a tendency to die), it’s important to look for something where the strength is guaranteed through the product’s expiration date, not just at the time it’s made. Also, look for a product that’s enteric-coated, to protect the bacteria against stomach acid. And while it might be useful to buy a “superstar” bacterial species to accomplish a specific purpose, it’s a better idea for long-term health to take a product that has a combination of species, which can colonize different specialized niches in the gut ecosystem. After writing all this, it might sound as though I’m telling everyone to take probiotics. But that’s not necessarily the case. The key to maintaining healthy flora in the gut really does lie in creating conditions in the gut which promote healthy flora, and which do not foster unhealthy microbial species. Taking a few probiotic pills, and washing them down with two liters of sugar-drink, plus antibiotics and no fiber, no greens, is like planting flowers in your garden ? then spraying them with herbicide, and refusing to water them. Those flowers won’t thrive. The research with IBS and IBD usually needs very high doses to achieve results; the research with colic has been very, very impressive, with relatively low doses. Certain foods are especially nourishing to our probiotic bacteria, like yogurt, kefir, and fermented vegetables; and sprouted grains. Look especially to vegetables like burdock root and Jerusalem artichoke, which contain inulin, a veritable superfood for the friendly bacteria. There’s also yacon syrup, a molasses-like sweetener from the root of a plant that grows in the Andes. Almost unknown in this country, yacon is another rich source of inulin, plus it won’t spike blood sugar like most other sweeteners. I think you’ll be hearing a lot about yacon in the next few years.